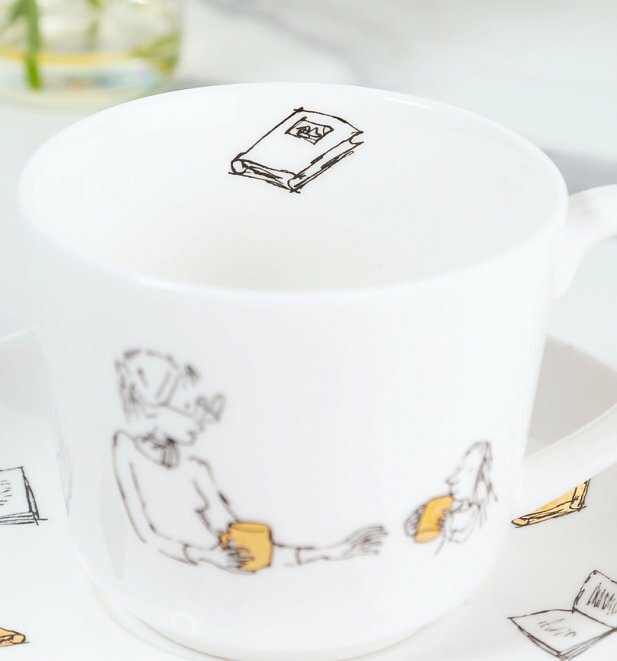 Perfect for enjoying as part of a fun-filled afternoon tea, over a good book (or any time, really! 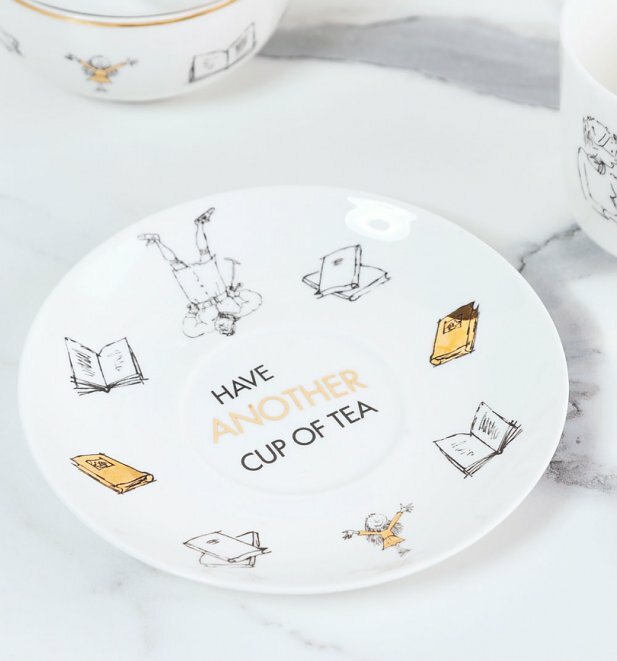 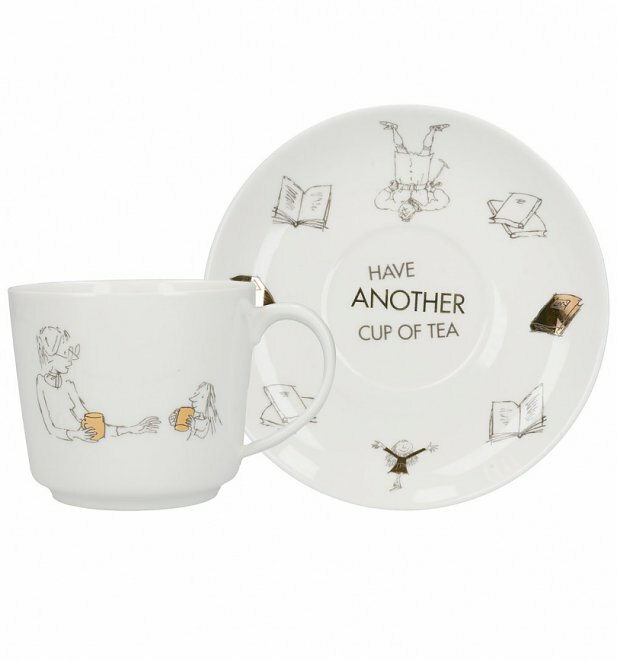 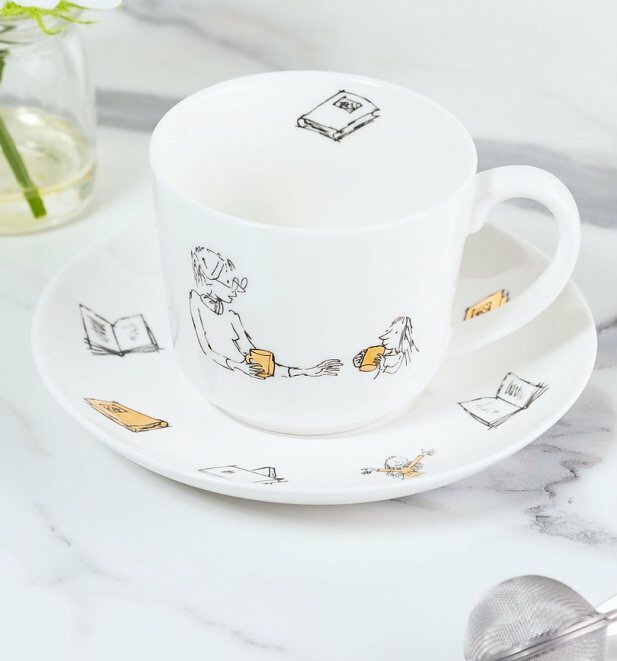 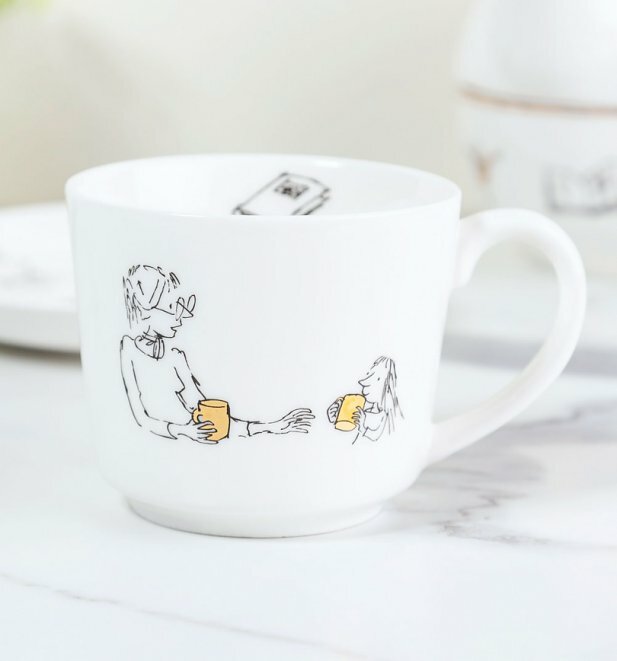 ), this cup and saucer captures the marvellous, magical story of Matilda! 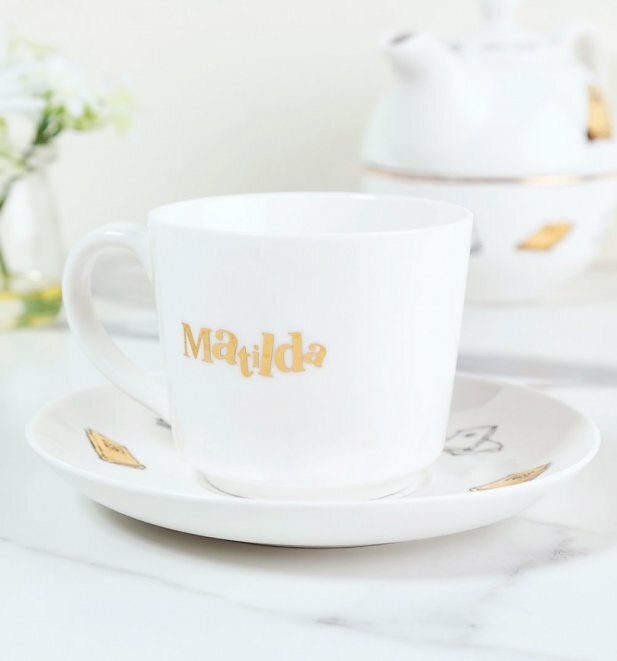 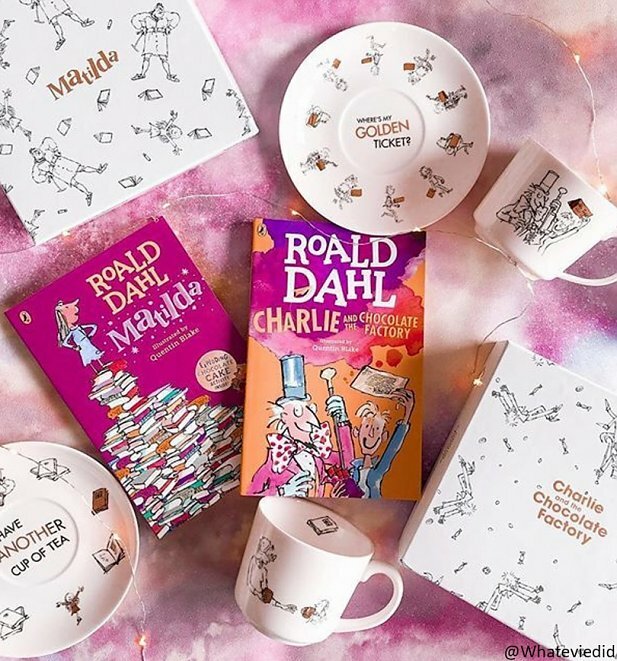 Featuring classic black and white illustrations from the beloved Roald Dahl book, this bone china set is flecked with metallic detail and laced with gold for a truly premium finish.